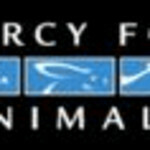 I have been a proud member of Mercy For Animals since its initial formation in 1999 by Mr. Nathan Runkle. While the primary purpose of this Group on Care2 is to inform activists of MFA's campaigns and events, additional entries are welcomed. Mercy For Animals is a national 501(c)(3) non-profit animal advocacy organization. Founded in 1999 and over 35,000 members and supporters strong, MFA works to create a society where animals are treated with the respect and compassion they so rightly deserve. non-human animals are irreplaceable individuals with morally significant interests and hence rights. This includes the right to live free from unnecessary suffering and exploitation. to establishing and defending the rights of all animals. Over 99% of cruelty to animals in the United States occurs at the hands of the meat, dairy, and egg industries - which confine, mutilate, and slaughter over 9 billion animals each year. As such, MFA primarily focuses on farmed animal advocacy and promoting cruelty-free food choices. to be a voice for animals through proactive consumer education and advertising campaigns, research and undercover investigations, rescues, working with news media, and grassroots activism. Located in Chicago, MFA's national headquarters office oversees the organization’s membership development, animal cruelty investigations, public and media relations, fundraising, internship program, merchandise and literature production and distribution, and visual media projects. Please contact the MFA headquarters to inquire about any of the above departments, or for information on volunteering within the Chicago area. All donations, merchandise orders, or general letters, emails, phone calls, and other inquires, should be directed to MFA's national headquarters. Please contact Matt Rice, MFA's New York Campaign Coordinator, at our New York City office for information on local volunteer opportunities, outreach events, speaker requests, or other state-specific inquiries. Please contact Kayla Worden, MFA's Asheville North Carolina Campaign Coordinator, for information on local volunteer opportunities, outreach events, speaker requests, or other state-specific inquiries. Please contact Corey Roscoe, MFA's Ohio Campaign Coordinator, at our Columbus, Ohio office for information on volunteer opportunities, outreach events, speaker requests, or other Ohio-specific inquiries. Click here for contact information of MFA regional coordinators in Cleveland, Cincinnati, Dayton, and Toledo. Please contact Eddie Garza, MFA's Texas Campaign Coordinator, at our Dallas, Texas office for information on volunteer opportunities, outreach events, speaker requests, or other Texas-specific inquiries. Click here to learn more about MFA’s many campaigns promoting animal rights. Click here to join MFA.